This dressing recipe is a great one to have in your repertoire. 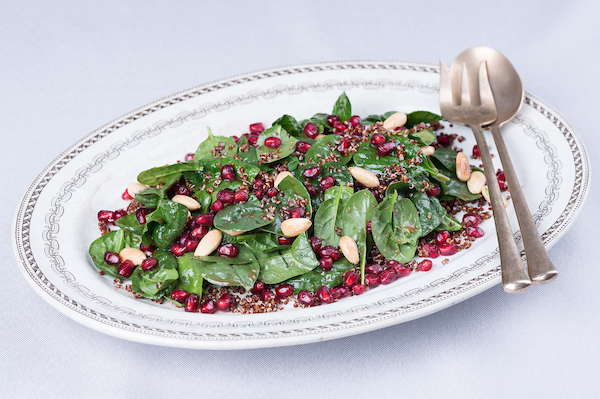 We served this over a red quinoa, baby spinach and pomegranate seed salad. It is great with a roasted eggplant salad too. Tip: Dressings keep well in your fridge, double the recipe and have some on hand for your next salad.